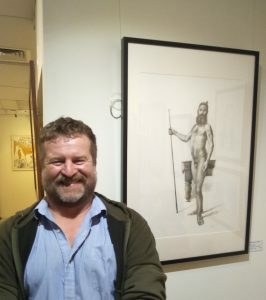 The Harold and Agnes Richardson Drawing Prize 2018 opened on Wednesday 26th September to a receptive crowd of artists and art lovers alike at our own Petrie Terrace Gallery. This prestigious prize is the second exhibition in the RQAS Biennial 2018. 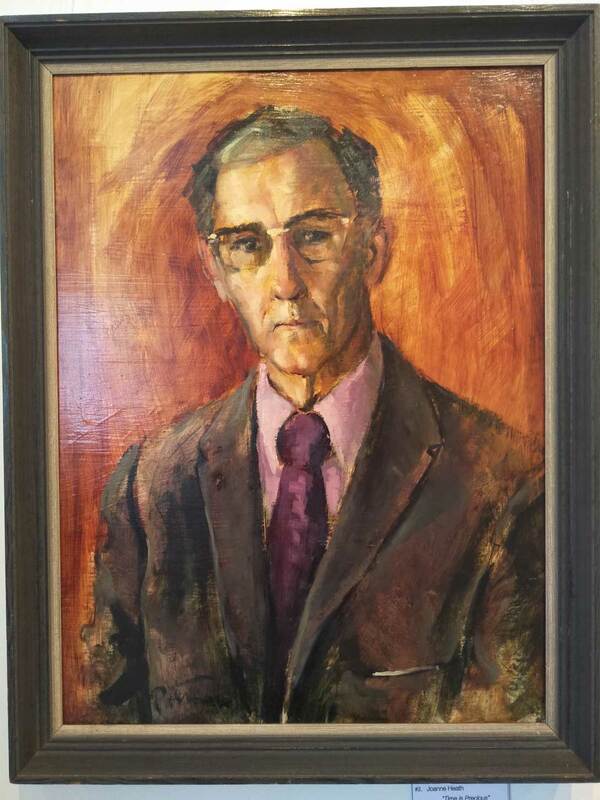 Harold Richardson was an RQAS President and our first gallery director. Richardson became involved in the society in 1940s and stayed active in the society until his passing 1984. He served the society in a variety of roles during this time, though not an artist himself Harold Richardson worked tirelessly to increase the profile of the RQAS along with his wife Agnes, a talented artist and long-standing supporter of the RQAS. 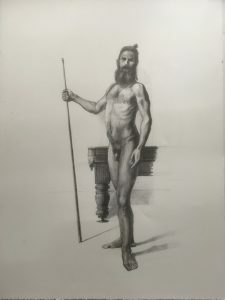 The HARD Prize was first established in 1984 shortly after Harold Richardson passed away, it was named the Harold Richardson Drawing Prize in his memory. Agnes Richardson continued to have a strong presence in the RQAS even after Harold’s passing and lived to celebrate her 100thBirthday. 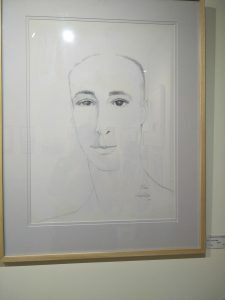 With her passing in 2008 an endowment of funds was left to the RQAS to continue the drawing prize and Agnes’s name was added to the prize in her memory. 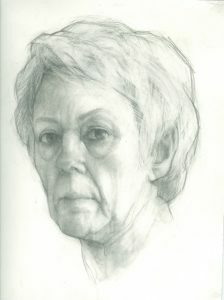 This prestigious award celebrates the foundational skill of drawing, and has a long and proud history. 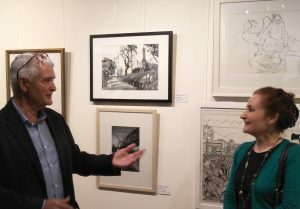 The exhibition was officially opened by Councillor Peter Matic who delivered an inspiring speech about the lasting legacy of Harold and Agnes in championing art and culture in Brisbane. Then the time arrived to award the prizes! 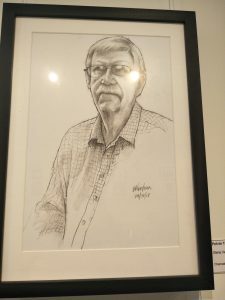 Our esteemed judge Richard Blundell defied convention by moving through the crowd to deliver his comments and impressions in front of the winning works. The audience was captivated and engaged by Richard’s astute observations. “Self Service” By Robin Finlay. The second prize went to Robin Finlay for her work “Self Service”. You can read the full judge’s comments below. 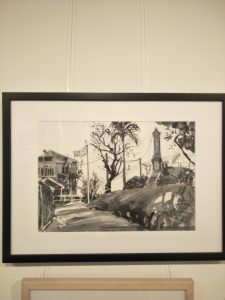 The third prize went to Robyn Bauer for her work “Ithaca War Memorial” the full judge’s comments can be read below. Our judge commented on the wealth of talent displayed in the exhibition and awarded four highly commended awards. “The Muse” by Laura Phillips. “Self Portrait” by Kay Kane. “Digital Beach” By Guy Lobweir. 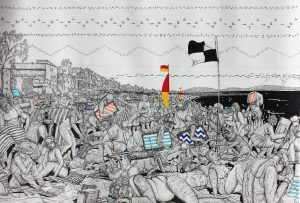 The Harold and Agnes Richardson Drawing Prize continues until the 12th October, drop y the gallery to see this fantastic and diverse show in person and vote for your people’s choice winner! This entry was posted in Exhibitions, Latest News on 28 September 2018 by gem.